Cabin heaters - Dare Britannia, Ltd.
​Switch for Kodiak heater, two-speed. "Unavailable" for years but the correct item has been available always from Dare Britannia since as far back as we can remember. This is an image of the correct, original control panel for the later KODIAK heaters. It is for this panel and for this type of knob that we offer these two-speed blower switches. Please note that the switch DOES NOT come with the knob! Very nice used unit. Has 2-speed heater/ blower motor; both high and low fan speed fan tests good. Heater core appears nearly perfect and tests good as well. Very rare now. Mounts against wing side or forward bulkhead. Kodiak heater. This is the finest heater ever fitted to the early Land-Rover, because, among other reasons, it was enabled by ram air induction, which allows the heater function even if the blower is disabled. Properly fitted the heater fills the cabin with massive amounts of heat. We stock replacement cores, blower motors and other Kodiak parts, for both this and many other Land-Rover heaters. We have "New" IIA and III Original Style Smiths heater assemblies . If you need just a core, send it in and we'll rebuild yours . Some cores are not rebuildable; in those cases we can supply you a new or rebuilt unit from our stock. We also offer new cores for SMITHS round heaters. We offer both cores as well as cabinets. Original equipment, recirculatory heater with secondary defroster circuit. More robust core than original Smiths units. Installs easily with twin-stud mount. 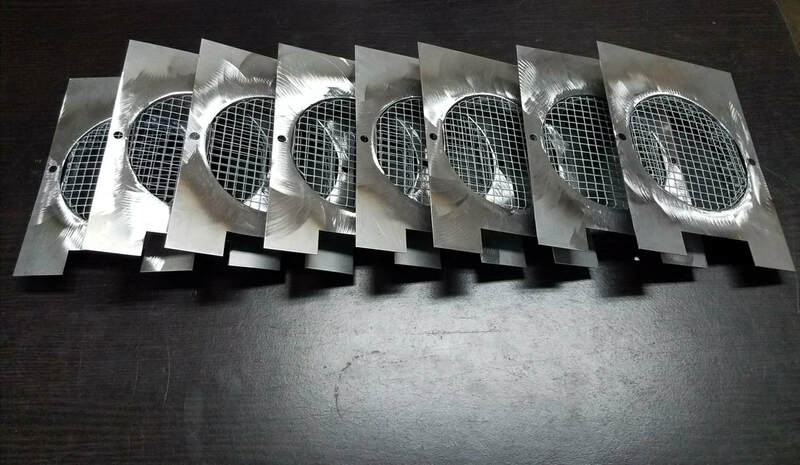 Dare Britannia, Ltd. also manufactures the windscreen defroster fixtures for this and all other Land-Rover heaters. ​Genuine Land-Rover, Genuine Smiths cabin heater. ​400 Watt. 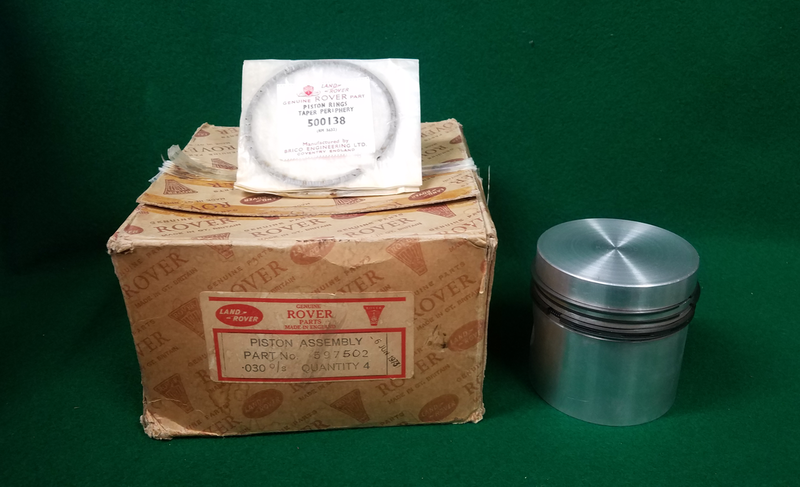 Fits 4 & 6 Cylinder engines. ​We stock new, fully restored, and used genuine Smiths round cabin heaters. 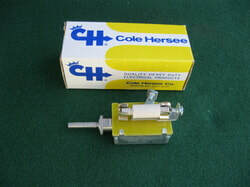 The pictured item is a mint original example. Apart from our new units, this is the finest round heater we've ever been fortunate to have located. Operates flawlessly. Even the thought of a leak is absurd! We stock new old stock and used heater cores for all the main classes of cabin heaters, including some unusual military models. 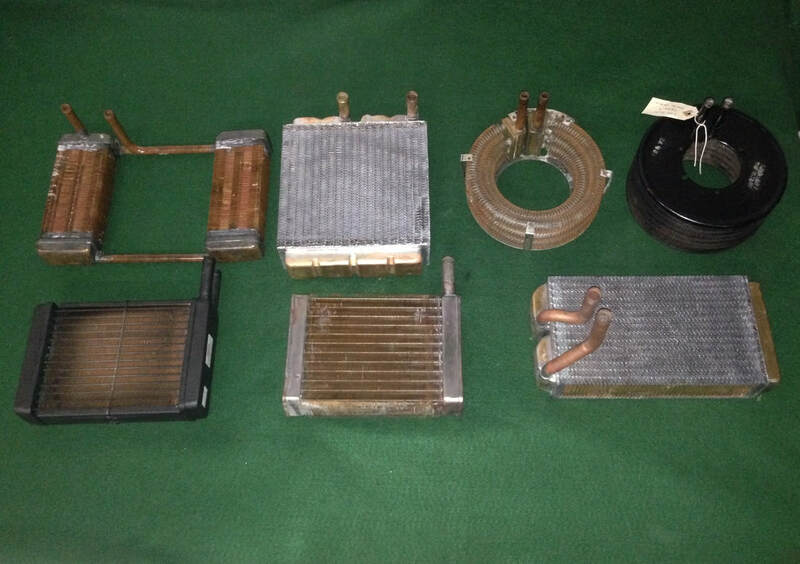 We also rebuild your old heater core and stock many parts for Smiths, Kodiak, and other heaters, both 12 and 24 volt.